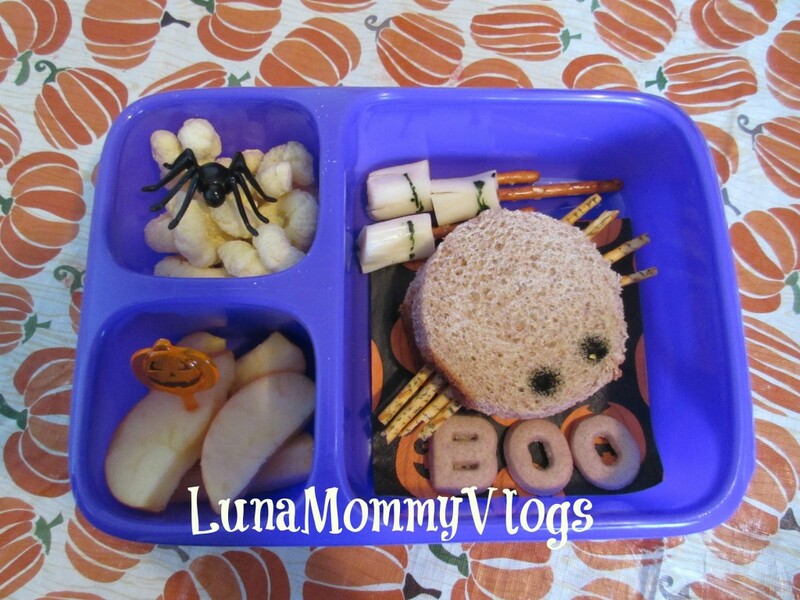 You are here: Home › Bento School Lunches › Halloween Bento Lunches! This is our second school year packing Bento School lunches for Kayla our 6 year old daughter. It all started when she came home from school hungry stating that she disliked school lunch and she rather have homemade lunch packed each day for school. 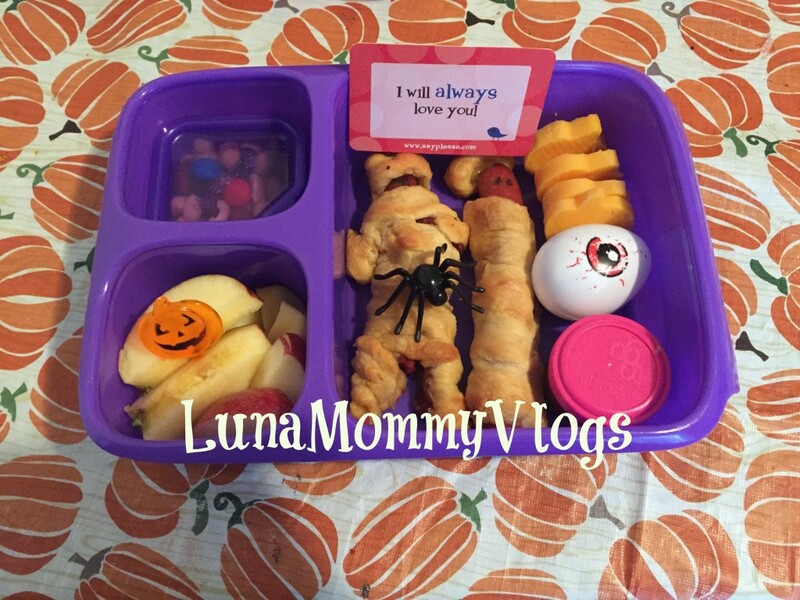 I jumped right on to Pinterest and came acroos Bento School Lunches, I knew right away she would love them & it would become my new obsession!! The Holidays make Bento lunches a lot more exciting so for each and everyone of them I get somewhat creative. We also are in love with these Say Please Lunchbox Love Notes they are great to give nice little positive messages at school when they open their Lunchbox. 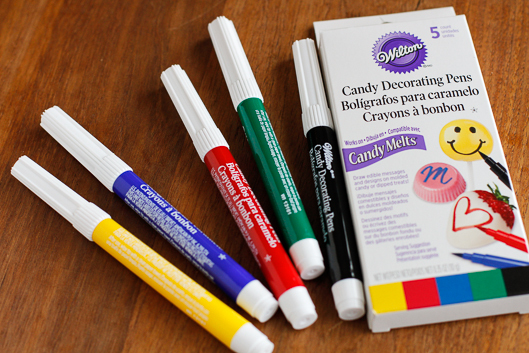 I use these Wilton Edible Markers to draw faces or color in some decorations, and so far I have been loving them so much for those extra cutness touches. They come in a lot of different colors and are perfect for Holidays! Also can be used for Candy making and Cookies too. 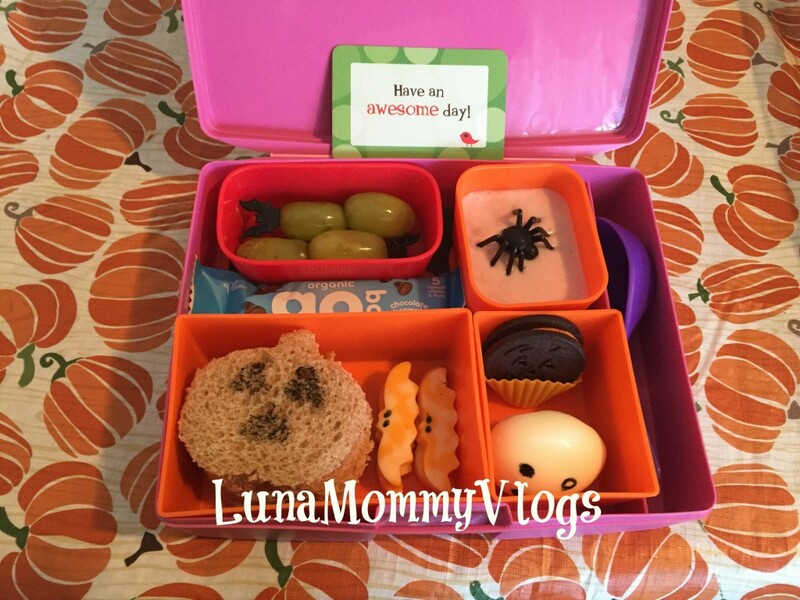 Also for more Halloween Bento Lunch ideas make sure to watch my other lunches on my Youtube channel LunaMommyVlogs.